On March 31, 2018 Google will deactivate the ReCaptcha V1 function (confirmation prompt in newsletter registration forms). In case you are using a form with Captcha, we recommend updating the confirmation prompt. Please check your forms in your CleverReach® account under the [Forms] menu item. 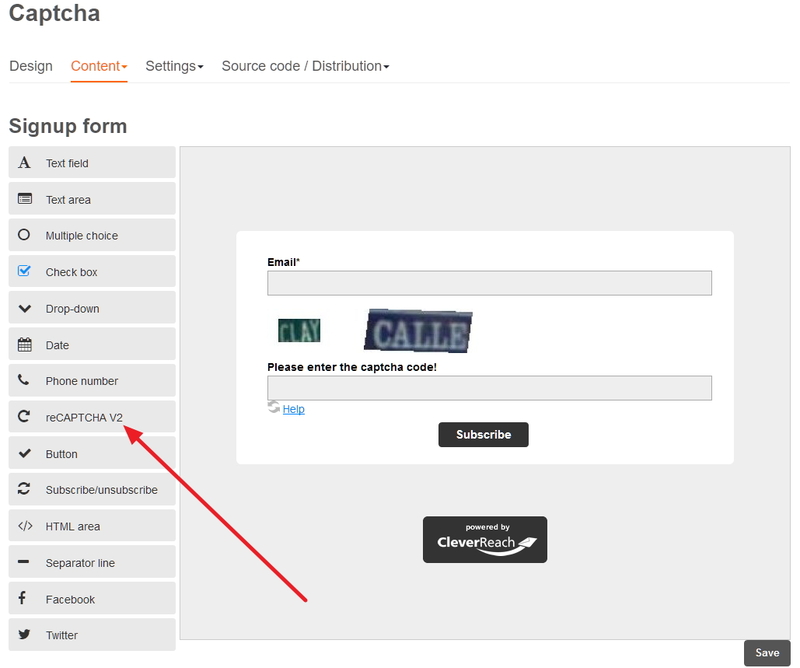 To exchange the Captcha, please open the respective form. Confirm your changes by clicking on [OK]. Please note that your updated form must also be updated on your website by using the [Copy and Paste Source Code] function. If you use external interfaces for your forms (e. g. Wordpress), please make sure that the interface updates the source code of the form.